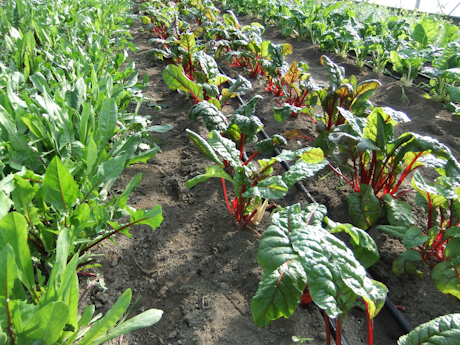 « Winter crops are in! Greens are in the House! 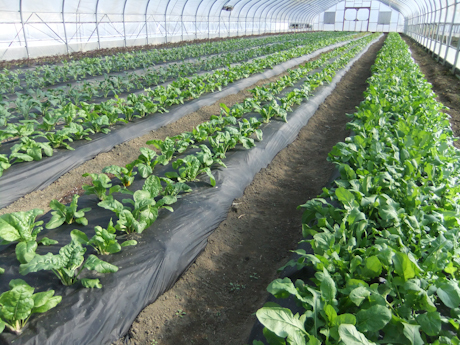 It might be getting cold outside, but leafy vegetables are growing beautifully in our greenhouses. 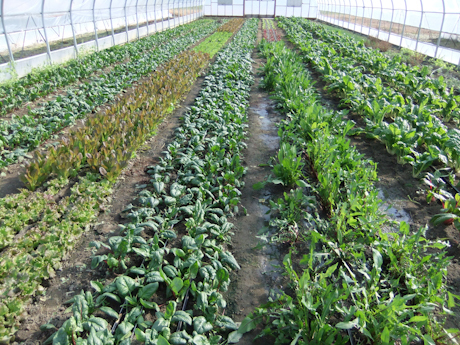 At this time of the year, we have many different types of leafy greens, and we’ll continue to have them for several more weeks. 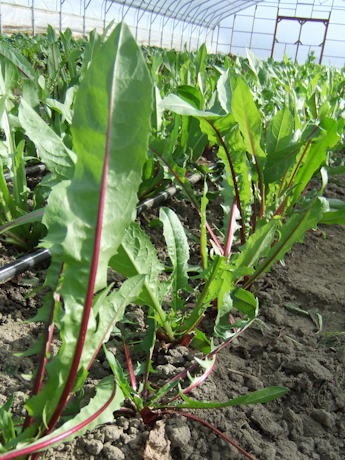 Rows of Swiss chard and red dandelion. 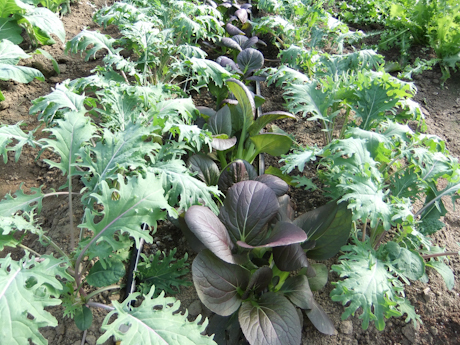 Russian kale and red choi make good companions. 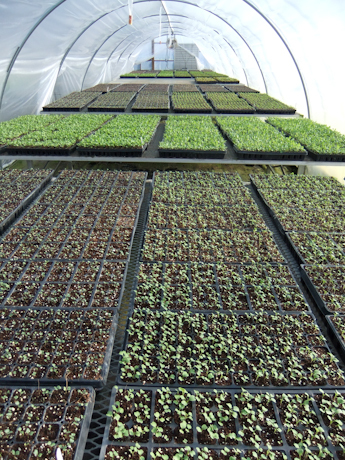 Rows of spinach and lettuces in one of our greenhouses. So stop by and see us! For our market dates, click here.